Looks: Dense Buds, the pistils (hairs) are light, dusty orange, and are covering the buds. The buds are light green but appear yellowish green owing to the heavy trichome coverage. Any leaf left on a poorly manicured bud adds a slightly darker green to the bud. 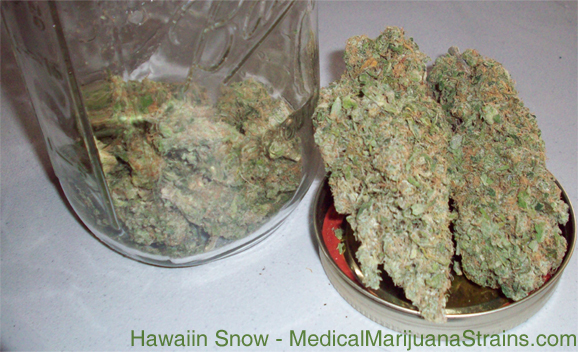 Smell: Strong hazy aroma which becomes harder to describe with any other word than “haze” as I stick my nose in the jar. For anyone without a haze reference, think lightly sweet with a rich musty or spicy note that could border on astringent. The sweetness of the musky scent is not sickingly sweet. The smell of the ground herb is a much stronger musky astringent with practically no hint of sweetness. The astringent smell almost makes me sneeze. Taste: The herb was smoked in an unpercolated bong. The flavor is very mild and slightly pine-y. The sweetness is dismissible in the flavor of the smoke and I can only taste a slight syrup-y flavor on the exhale, and that sweetness is only present in the first few green hits. 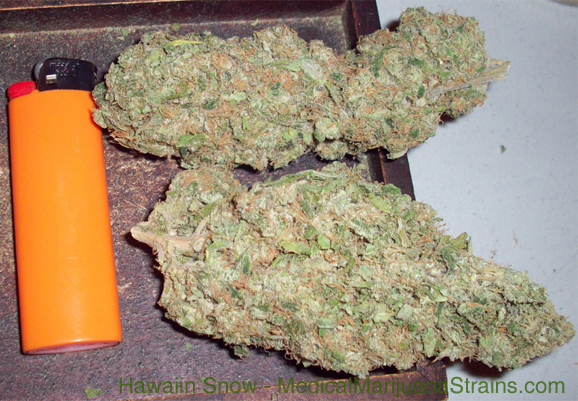 Most of the flavor on exhale is a musty or piney flavor that almost mirrors the smell of the ground herb. I enjoy this hazy flavor, and I’m very partial to the musty aromas rather than the overwhelmingly sweet ones. Effects: After 1 hit the buzz is noticeable. It starts as a heavy brain buzz that is extremely creeper. This bud makes me want to do something productive, or stimulate my mind in some other way. The high is very easy going. If you like sativa effects, these effects are fairly textbook.